Star-shaped reddish purple flowers appear in large dramatic clusters in early spring. The scent is spicy sweet—the essence of spring. The deciduous shrub reaches 6 to 8 feet tall and 5 to 6 feet wide; it takes full sun, or light shade in the hottest climates. 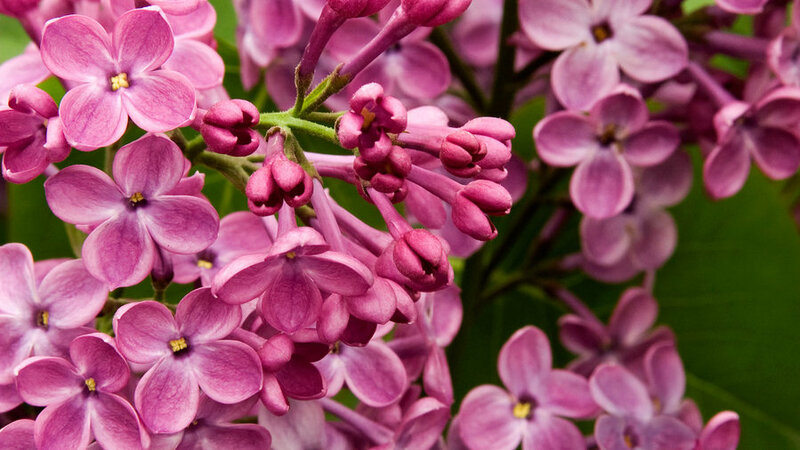 Most lilacs bloom best in regions with winter chill (Sunset climate zones A1–A3; 1–11, 14–16). In mild winter areas (zones 18–22), try Descanso Hybrids. This shrubby perennial reaches 4 feet tall, and has bright red flowers and foliage that smells like ripe pineapple. Zones 5-24. A tall, lanky deciduous shrub, it has lemon-scented leaves and lilac or white flowers. Zones 9, 10, 12-21. 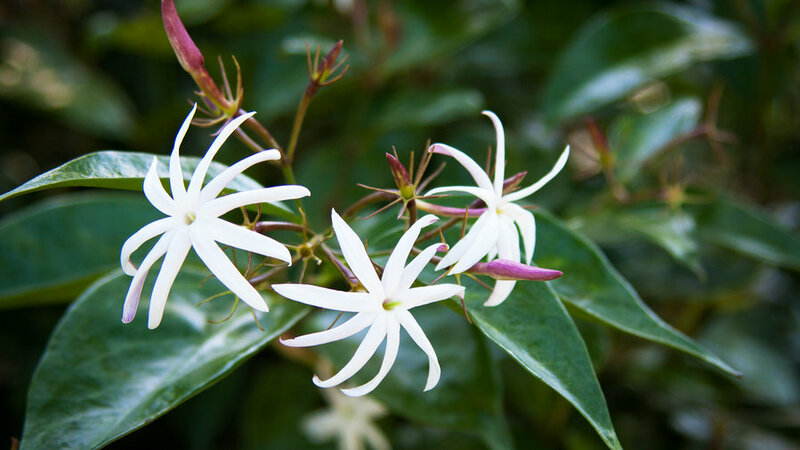 This semi-evergreen vine has glossy green leaves and pinwheel-shaped white flowers. Sunset climate zones 12, 16, 19-24, H1, H2. 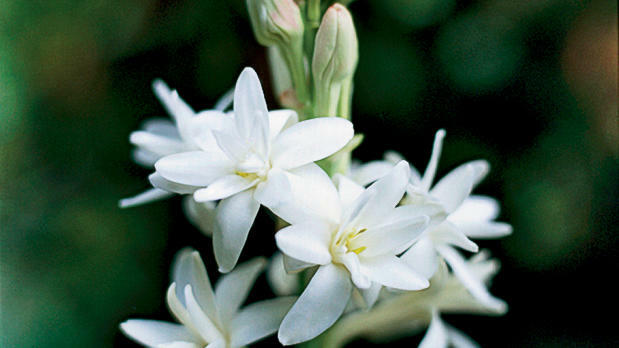 Though the purple varieties are more common, the white-flowered form is the most fragrant. Perennial in zones 15-17, 23, 24, H1, H2; annual elsewhere. 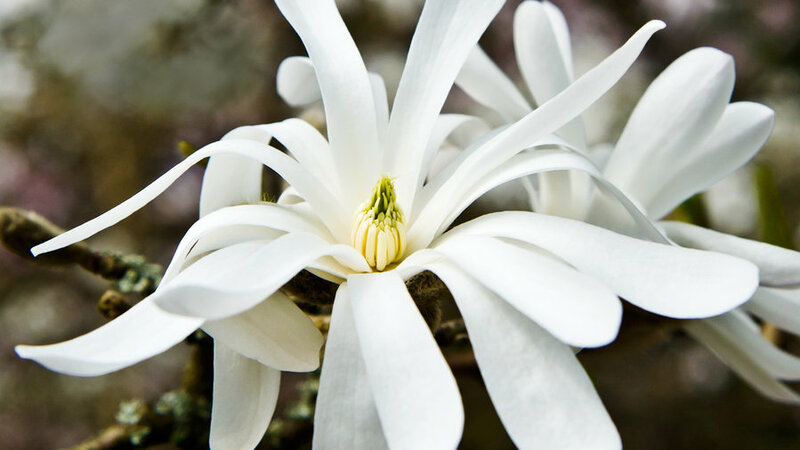 Many old types--including Bourbon, China, and damask--are fragrant, and more and more modern varieties, such as 'Yves Piaget', are too. Zones vary by species. Look for the variety 'Prince Rupert' or 'Mabel Gray'. 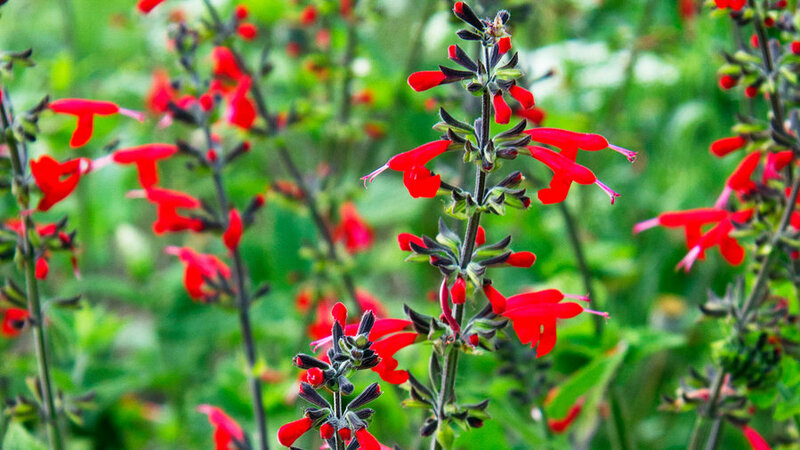 Perennial in Sunset climate zones 8, 9, 12-24; grow elsewhere as annual. White four-petaled flowers cover this tall shrub. Sunset climate zones A1-A3, 1a, 2-24. A woody shrub, it has pendant flowers in a range of colors. 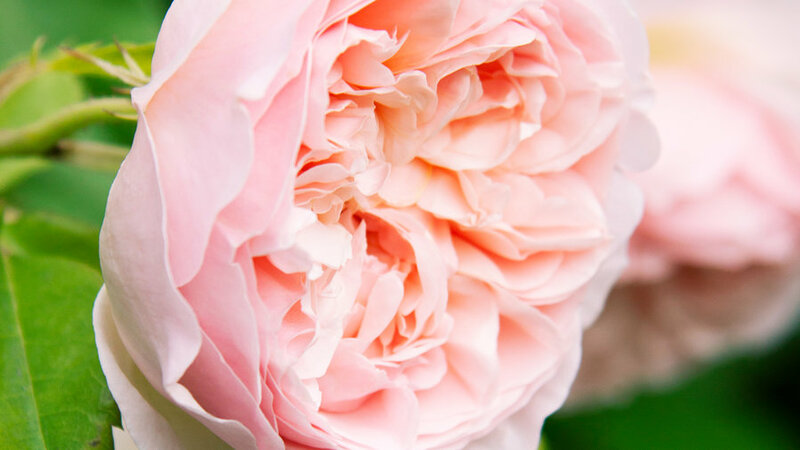 Most varieties are fragrant, but 'Charles Grimaldi' is the best. Zones 12, 13, 16-24, H1, H2. 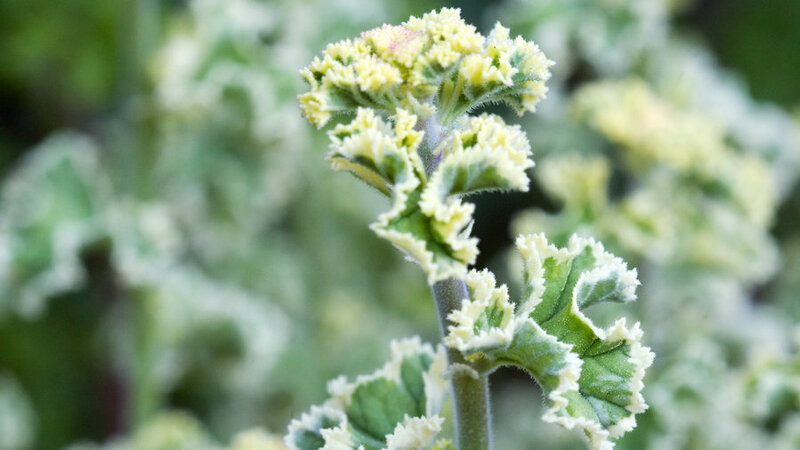 This perennial has a fountain of grassy leaves and glistening white tubular flowers. Zones 7-9, 14-24, H1, H2. 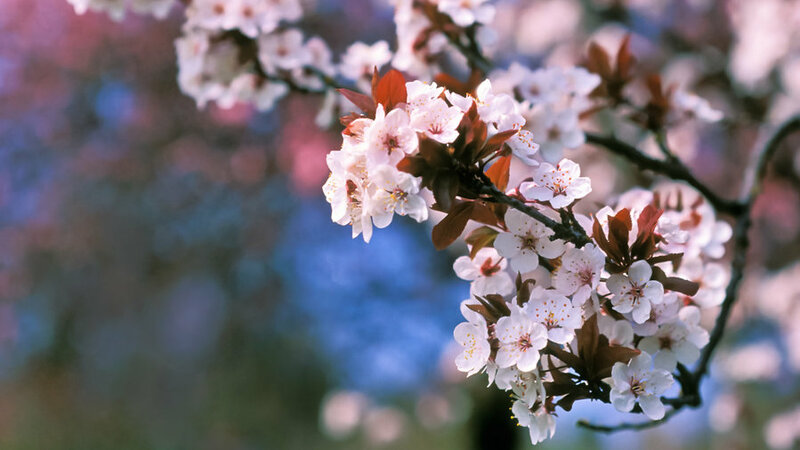 Single white to light pink flowers open in clusters from pinkish buds before leaves appear (in March in the Northwest, earlier in warmer climes), releasing a honey scent, especially on warm, sunny days. The tree, 20 to 30 feet tall and wide, likes full sun. ‘Thundercloud’ has purplish brown leaves. Zones 3–22. Pink buds open to white star-shaped flowers in early spring. 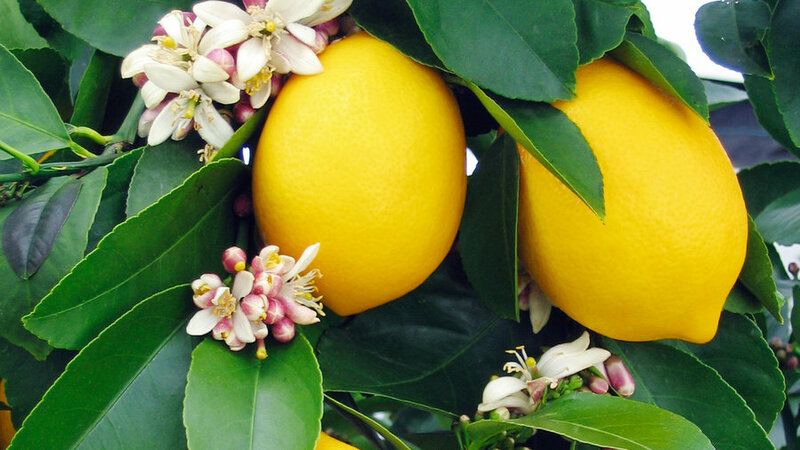 The scent is subtly sweet with a hint of citrus. The slow-growing deciduous shrub or small tree (to 20 feet tall) blossoms in early spring before the plant leafs out. It likes sun or part shade. Zones 2b–9, 14–24. Small rose-colored flowers are white inside and grow in dense clusters in late winter to early spring. The scent is sweet and floral, like a warm Hawaiian night. 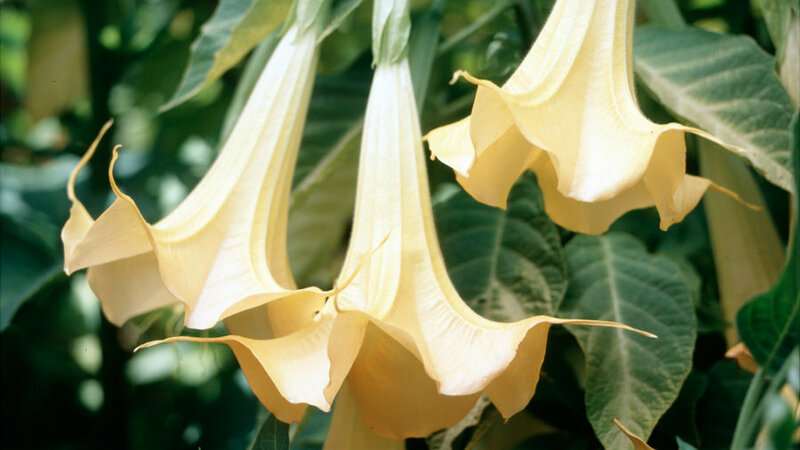 A climbing vine reaching 20 feet tall, it’s sometimes grown in big pots and hanging baskets, or used as a groundcover. This jasmine takes full sun or light shade. Zones 5–9, 12–24; H1. 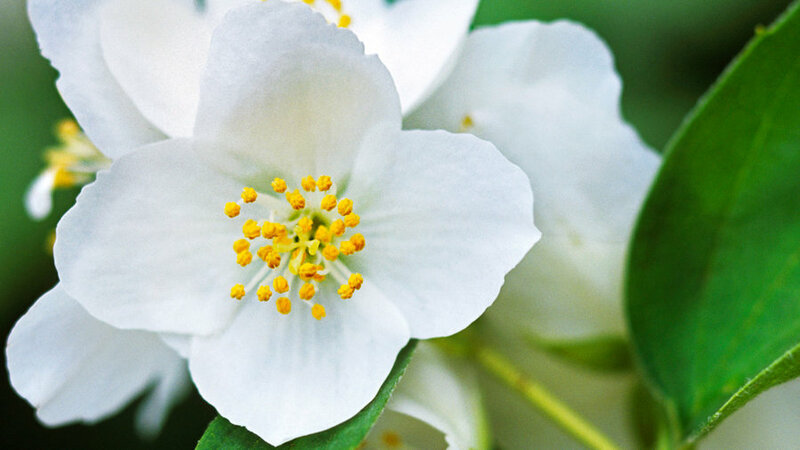 Creamy white blossoms of ‘Washington’ navel orange have a rich, fruity perfume that seems to float in the warm spring air. ‘Eureka’ lemon has at least some flowers nearly all year. Grow both in sun. Zones 8, 9, 12–24; H1–H2. 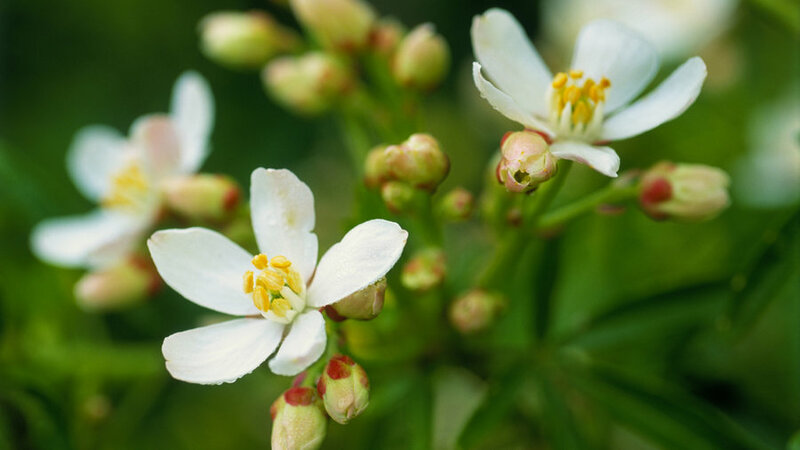 Small white flowers smell like orange blossoms with a hint of gardenia. 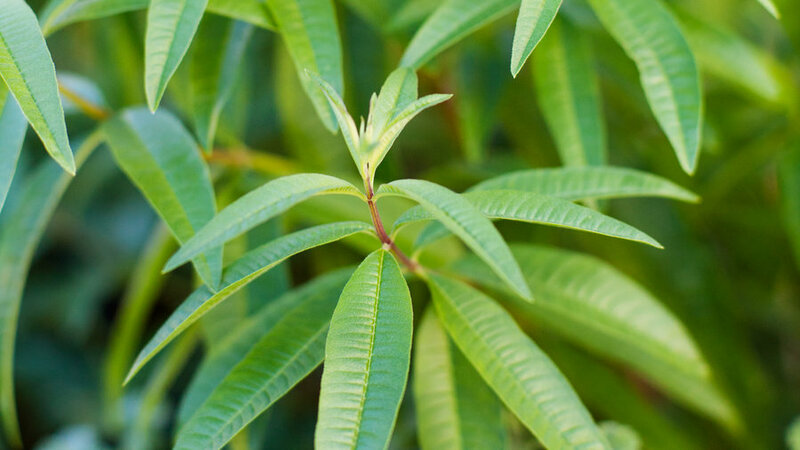 The evergreen shrub (not a true citrus) reaches 6 to 8 feet tall, and takes sun in cooler climates but part shade elsewhere. Zones 6–9, 14–24. Cutting. The best time to cut stems and branches is in the early morning or evening when the air is cool. Use sharp pruners. • Roses: Make cuts above a set of five leaves. • Shrubs: Cut flowers that grow in clusters, such as lilac and mock orange, before all buds have opened. • Trees: Clip branches when buds start to fatten, making cuts just above a growth bud (take care not to disfigure your tree). 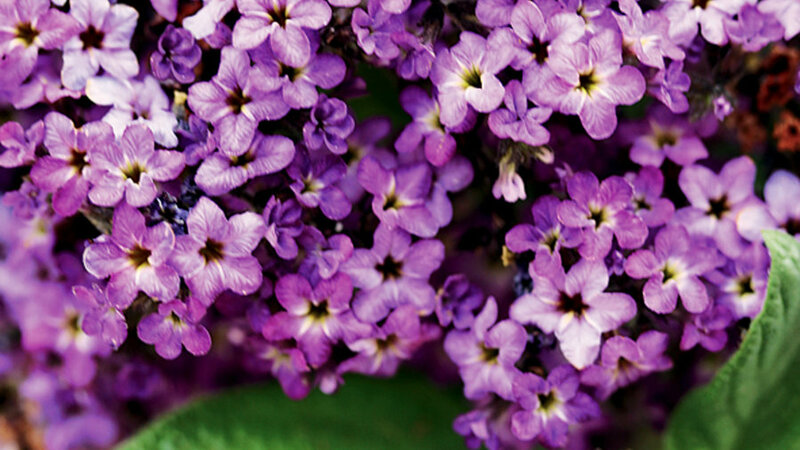 • Vines: Snip flowering stems of polyanthus jasmine, and remove the lowest leaves and blooms. Caring. As you cut, plunge all branches or stems immediately in a bucket of lukewarm water. 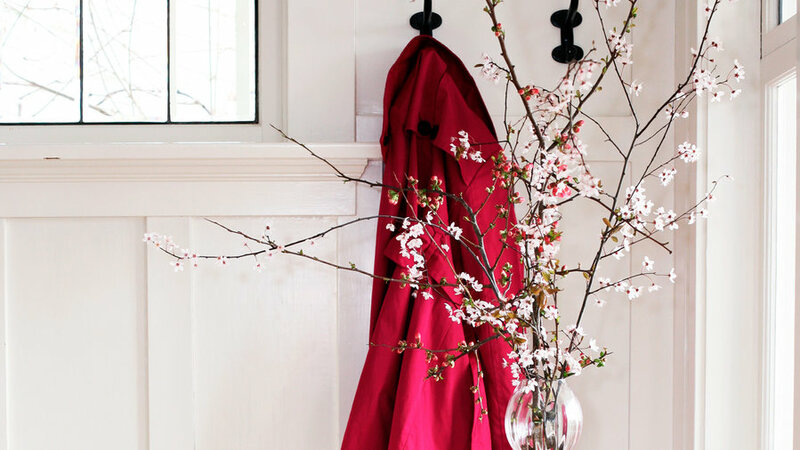 Before arranging woody ones (including flowering plum, lilac, and magnolia), remove the lower leaves, recut the stem ends at a slant, and make a 1- to 2-inch slit through the bottom of each stem. Preserving. 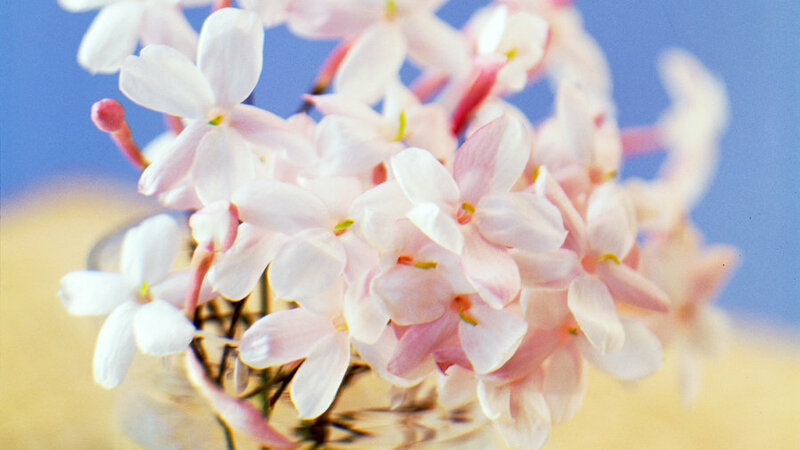 Fill a vase with lukewarm water, then add a floral preservative before inserting cuttings. Keep arrangements out of direct sunlight, and change the water and recut stem ends as needed.